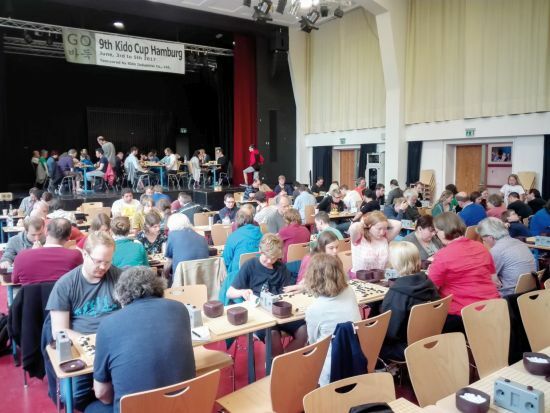 From June 8th to 10th 2019 the 11th Kido Cup will be held in Hamburg. It is organised by the Go-Landesverband Hamburg and the Hebsacker Verlag. The total amount of money and material prizes will be about 10.000 Euro. Kido Cup is modeled as a Korean multiple style Tournament – with a top group, and main tournament with special prices for women and youth players and a children’s tournament – very generously sponsored by the Korean company Kido Industrial Co., Ltd., and supported by the Hankuk Kiwon (Professional Players Association) and the KABA (Amateur Players Association). Additionally, we also again play the Omikron Rengo Tournament with attractive prices sponsored by the Omikron Data Quality GmbH.